SIGforum.com Main Page What's Your Deal! Well, it seems it's always something. Now TV problems. Now my newish Sony 75 inch 4k, HDR, LED, XYZ, TV started displaying a scrambled image today. About 1 inch high all the way across the screen, about 1/2 inch from the bottom. Photos below. I unhooked all the cables and reattached and cycled the power on everything. I tried using 3 different inputs, the Cable box, an Apple TV and a Blueray player -and all did the same. Inclined to think its more bad luck... or is it good luck??? It's still has ~10 days left on the warranty I believe. You can bet I'll be in the shop bending the owners ear in the morning. It's still has ~10 days left on the warranty I believe. Several years back. Maybe 5 or 6. We bought a new Sharp Quatron that developed a green line across the screen. Called Sharp up and they sent me out a new one and it's been great ever since. I say you did good that it was still in warranty. Who knows Sony might even extend your warranty. Went in and talked to someone at the store and E-mailed them the photos. After I explained what I had done to troubleshoot he said it looked like I would likely be getting a new TV. He also looked up the warrantee... 2 days left! TWO! Owner was out of town on calls. The owner is the third generation to run the store, a single shop Appliance / Furniture store. I did business with his Dad and Granddad over the years going back to the late 60's and during my first carrier in construction, plumbing and electrical work we used to install all the built in appliances they sold, if it wasn't just a simple swap out. I expect he'll do me right. Mark, the owner, is going to try and get by my house this afternoon to look at it. I would call Sony direct. I did when my Samsung tv had issues and they had someone there 2 days later to replace the computer(?) inside and never had a problem since. 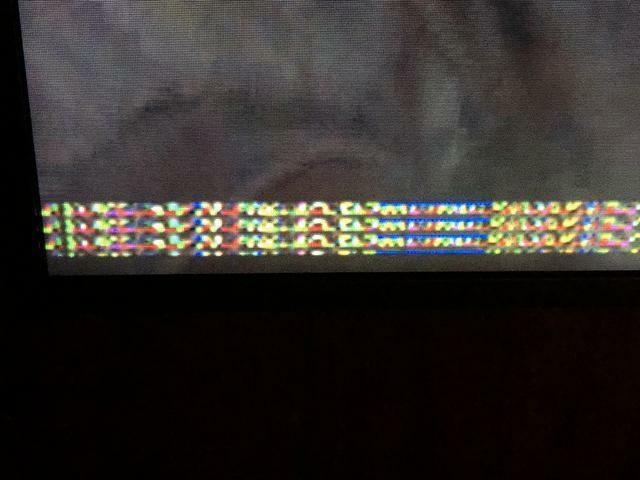 My Vizio started screwing up 13 months after I got it. It had a stunning picture when I got it. It started out having a dark spot in the upper right side of the screen. It is a 60" tv. Then another dark spot appeared. In the middle right side. Then bright white flashes on the left side, which lasted a couple months then quit. Now the one black spot has extended down, doubling in size. 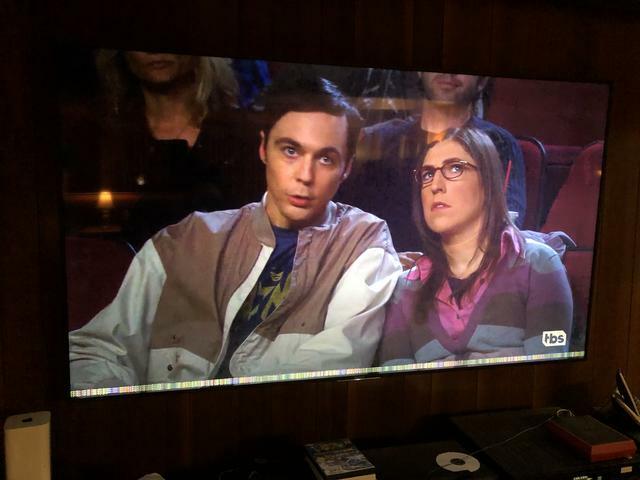 When I turn on the tv, the volume icon comes up on the screen and the volume declines to zero. The icon stays there for about 10 mins. If you try to turn the volume up with the remote, it fights to keep it down. Sometimes the input icon comes up on the screen and it will automatically change to a different input. It is about a year and a half old and my son has one identical and his is still perfect. I have been looking and searching for all the different brands to see who complains about which brand and so far thought Sony was one of the 2 least complained about. I had sony for years and years with much satisfaction, until the last set which was a lemon. As for why I do this, it's simple, crap Taiwanese Capacitors. They are in every TV made because they guarantee that they will fail in 3-5 years. The days of a Sony TV lasting for 10 or 20 years is Ancient History. So why pay for a Sony if what you get is simply a crap TV guaranteed to fail with a Sony badge on it. Actually the store delivered and hung it on the wall via a wall mount bracket. Quick Reply to: Well, it seems it's always something. Now TV problems.